Before the blending into what we’ve come to know today as the start of rock and roll in 1955, music existed in three distinct markets. Western music itself split between “Western Swing,” which employed big bands with the addition of fiddles, and “Cowboy” music. Nashville was THE city that brought together Country and Western into one genre, thanks to The Grand Ole’ Opry. And Hank Williams was the guy to popularize C&W in the late 40s. Bluegrass, i.e. the “bebop jazz of country western,” shunned technology. Only used one microphone. Bill Monroe, Earl Scruggs, and Lester Flatt are the guys here. Before 1945, R&B was referred to as “race records.” The music business itself didn’t foster racism but did accept it. Post World War II, Doo Wop emerges as a capella vocal singing with black males. We’re making the leap to Spotify- check out the songs that will be competing below! Note: please comment below if you have problems with the playlist. I want to get feedback now as opposed to when the tournament starts to make sure I’ve got the kinks worked out for a clean start. 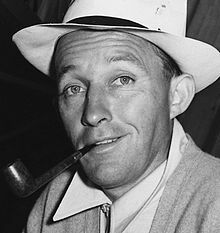 This entry was posted in Music, Music Tournament and tagged Bessie Smith, Bill Monroe, bing crosby, Carter Family, Frank Sinatra, Hank Williams, Jimmie Rodgers, most influential rock song ever, robert johnson, Roy Acuff, W.C. Fields. Bookmark the permalink.